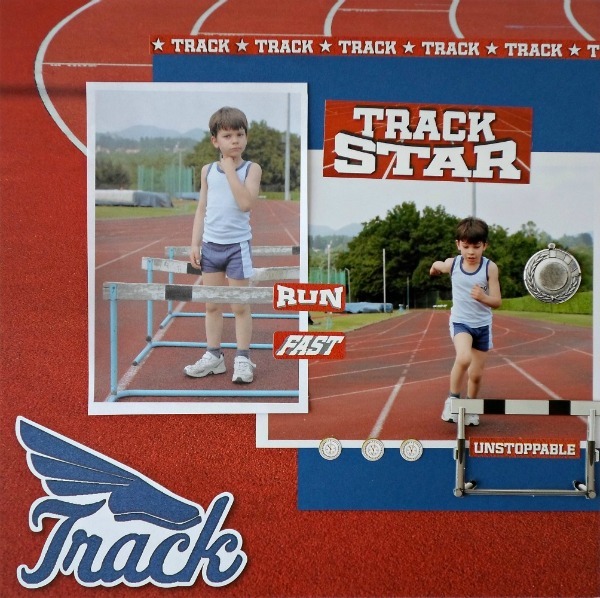 How adorable is that little track star?! It's easy to embellish a layout using their sticker sheets. 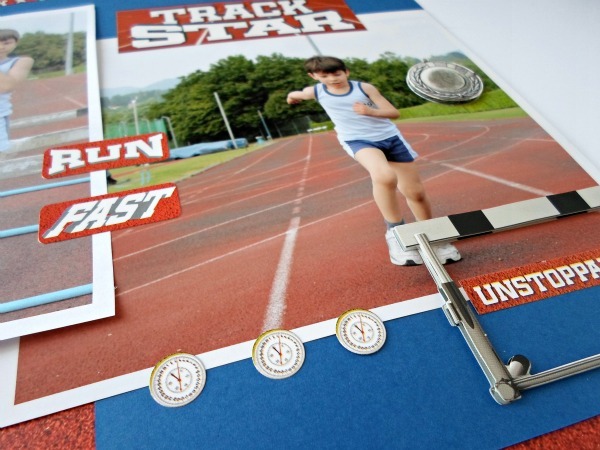 No need for alpha stickers or an electronic cutter - The 'track star' title was included in the collection. Stop into Creations Galore soon to see the full collections of Real Sports 2013 by Reminisce.